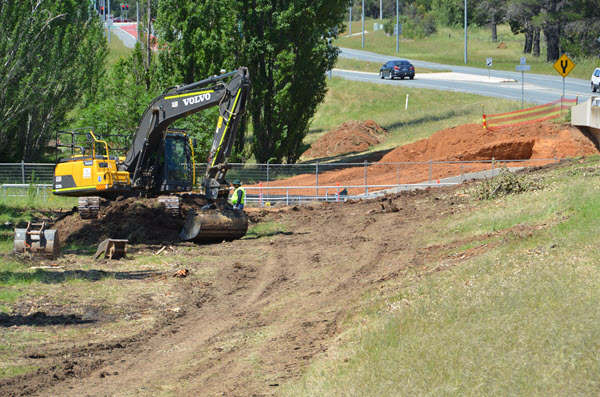 Work has started on the 2nd Stage of the Cotter Road Duplication from Yarralumla Creek to the Tuggeranong Parkway. The signs are up at each end of the proposed works and the tree clearing and digging has begun alongside the current bridge over Yarralumla Creek. As well the fences are being placed to the north of the Cotter Road in the treed area which likely shows the limit of the the road works that will occur. Lets hope the works are undertaken quickly and the disruption is then over. « Are you unable to get to a polling place on election day for the ACT Legislative Assembly election?